The Rothbury line offers a relaxed blend of vintage design and traditional elements that coordinates perfectly with both casual and luxurious decorating styles. This oil rubbed bronze Posi-Temp shower only was built to last by MOEN. Designed for use in your bath. This trim kit requires MOEN valve 2510, 2520, 2570, 2580, or 2590 to complete installation. Inspired by patterns found in nature it offers a distinctive design which is at home in any transitional dicor. Gracious and uncomplicated style features give the Engage collection an ageless yet fashion-forward presence. Tailored yet relaxed, the Engage collection is an exercise in design balance. This lustrous collection works seamlessly with today's lifestyles. Traditionally styled in a timeless presentation, the Wynford bath suite from MOEN features updated, classic details with clean, refined design cues. 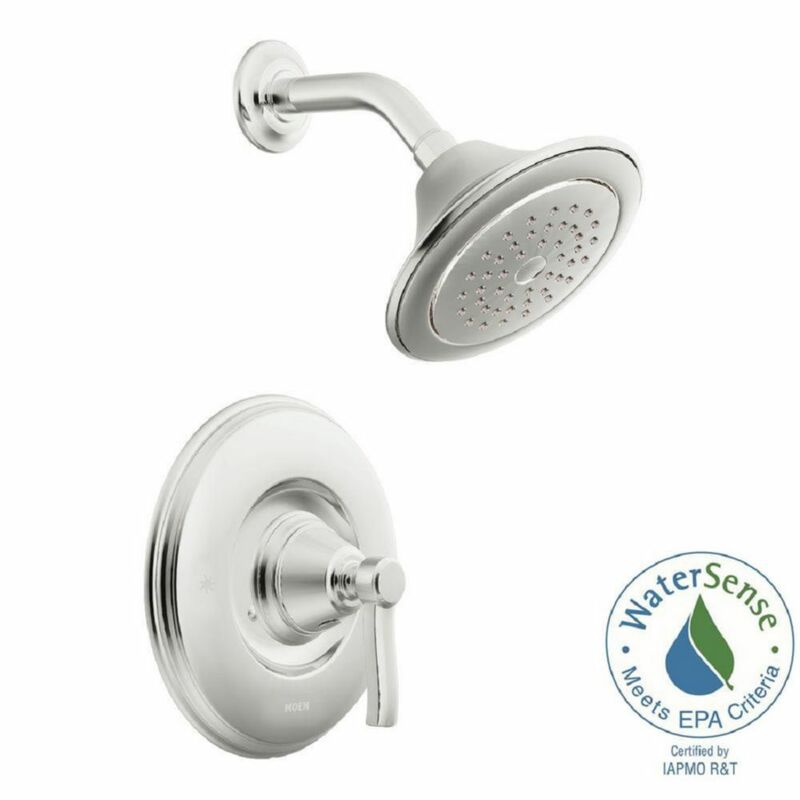 WaterSense certified for efficient water usage, Wynford offers a smooth, single-handle lever that makes it easy to adjust the water to just the right temperature using only one hand. Smoothly showcasing MOEN's LifeShine brushed nickel finish that's guaranteed to last, this kit is also part of MOEN's M-PACT system, allowing you to upgrade the style of your trim as easily as changing a light bulb, saving you time, money and effort. This trim kit requires MOEN valve 2510, 2520, 2570, 2580 or 2590 to complete installation. Rothbury Chrome Posi-Temp Shower Only The Rothbury line offers a relaxed blend of vintage design and traditional elements that coordinates perfectly with both casual and luxurious decorating styles. This oil rubbed bronze Posi-Temp shower only was built to last by MOEN. Designed for use in your bath. This trim kit requires MOEN valve 2510, 2520, 2570, 2580, or 2590 to complete installation.